Bicycles are an ideal travel option for college students. They offer a cheap alternative to driving, provide excellent exercise, and are a quick way to maneuver around campus. These advantages and more have encouraged universities around the country towards achieving the title of “Bicycle Friendly University” by the League of American Bicyclists, which coordinates a program to recognize colleges and universities working to make their campuses safer and easier for people to bike. The state of South Carolina is now lucky enough have three universities achieve this honorable designation. CCU’s Coastal Cycles Bike Program allows students to rent bicycle for 30 day free of charge. The most recent university to achieve the “Bicycle Friendly University” recognition is Coastal Carolina University (CCU) in Conway. Awarded just this month, CCU has been making strides towards better biking conditions for several years. They offer several services to bicycle commuters including storage lockers, showers, and free bike repairs. Additionally, in the last year, they increased the number of bike racks and rentals and hosted several bicycle safety and education programs – some informed by our Safe Streets curriculum. One of CCU’s main achievements is the Coastal Cycles Bike Program. With a fleet of 350 cruiser bikes, this program allows students to rent bicycles for up to 30 days free of charge. During the 2014-15 year, 729 students embraced this program and more utilization is expected. Looking forward, CCU hopes to work through their newly formed Bicycle Advisory Committee to maintain momentum and continue efforts to make the university more bike-friendly. The Green Crescent Trail will connect areas around Clemson. Clemson University achieved its “Bicycle Friendly University” designation in 2013. This achievement came less than a year after their adoption of the Clemson University Bikeways Master Plan, which outlined a network of dedicated bicycle facilities throughout the extended campus including bike lanes, shared roadways, mountain biking trails and more. Additionally, the Clemson Chief of Police started a group focusing on creating an open dialog about bicycling and safety related issues. Today Clemson also offers commuter bicycle rentals, bike repair assistance, and tools at the university bike shop. An related initiative within and around the Clemson community is the Green Crescent Trail. Once completed, this trail will incorporate over 40 miles of connected bike lanes and footpaths between several parks, communities, and cultural and historical landmarks. The University of South Carolina- Columbia has held the “Bicycle Friendly University” distinction since 2012. It was the first university to achieve this recognition not only in the state, but also in the entire SEC. At time of award, USC was noted for its strong master bike plan and bike advisory committee which utilized several campus offices. Also notable was their Abandoned Bike Program which took unwanted bikes left around campus and redistributed them to students in need. Today USC continues its efforts to make campus more bike-friendly. 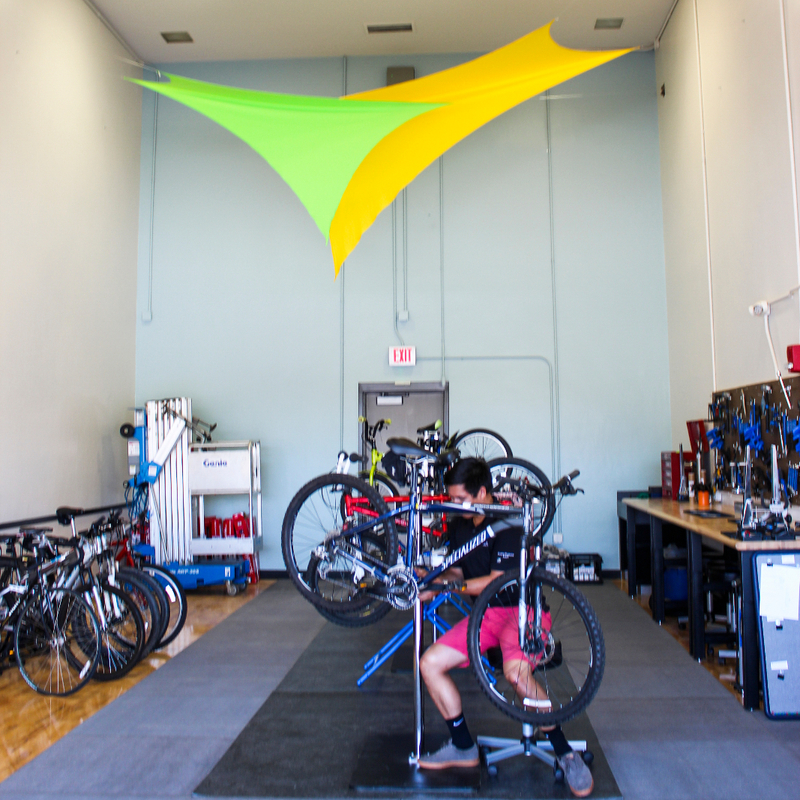 Recently, the university renovated a brand-new bike shop which offers free maintenance, repairs, and bike rentals, and they provide bike maintenance and commuter clinics to help owners better manage their bikes.